While Chapstick might be one of the most common items on the market, it can be co opted for a number of survivals uses. You can find Chapstick at nearly every retailer in existence and most people have a tube within reach. Be it in their pocket, desk drawer or handbag, Chapstick is around. The reason for its popularity is simple. The chafing and dry cracked lips can be a real pain. Would you believe me that there are as many as 20 survival uses for your little tube of Chapstick. When you finish reading this article you will look that that small EDC item in a whole new light. Let’s get that one out of the way! The reason we carry Chapstick is to avoid that painful cracking and drying in our lips. When it comes to fire, every little bit helps. You should have a collection of tinder, combustion devices and maybe even a few candles as part of your fire kit. Chapstick is another great little addition to that kit. Chapstick is made from wax or camphor and most of the time its combination of both. Camphor is a terpenoid from evergreen trees. It is a highly combustible ingredient much like the volatile oils in pinewood. So, your Chapstick is a great way to get tinder off and running if you need a little extra help. Because of those base ingredients you will find that Chapstick is a great at small waterproofing tasks. If you have small holes in pouches, bags, tents or rain gear it can be used to keep water out of those items. These same properties will allow for you to waterproof things like knives and the threads on flashlights. Its not a long-term solution but it can be a big help if you find yourself moving in the rain without the option to stop and setup shelter. On the Christmas of 2018 Colin O’Brady was on the last leg of his record breaking, solo trek across the Continent of Antarctica. He spent two months pulling a sled across the tundra and as you can imagine he faced a lot of things. Colin used tape and Chapstick to deal with the wicked Antarctic winds. You can use Chapstick in the same way, on your nose, ears and face to help deal with windburns in cold weather. One of the most important body parts to care for in a disaster are your feet. Your feet are what drive you in a survival situation. Because of the friction that long hiking creates Chapstick can act as a barrier between those hot spots and rubbing materials like socks and boots or shoes. Whether you are working with rusted screws, sticking tools or a bow drill set you can use a little Chapstick to keep things moving. This lubrication can make all the difference. A little Chapstick goes a long way as lubricant. Small cuts can really benefit from a little Chapstick. If you have a would that is large and bleeding it will not be of much use but small cuts that need protection can be covered in Chapstick if you have no bandage. Or it can be combined with a bandage to effect healing that way. In the same way that it affects your skin and protects it from windburn, your Chapstick can be used as an effective sunscreen. Many people leave the home without sunscreen and that is a real problem if they find themselves out in the sun for prolonged periods without protection. A stuck zipper at home can be a real pain. However, if your tent door zipper, bugout bag zipper or coat zipper is malfunctioning in a survival situation, it could mean your life. 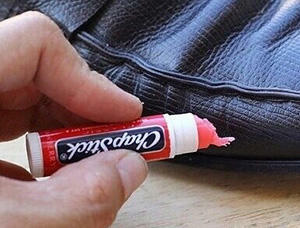 By running a little Chapstick up and down your zipper it can make that zipper run as it is intended. If you are fighting rust on things like knives and threads, you can use Chapstick to coat those metals and keep them from rusting. Chapstick can also help clean lenses. You can rub it on the lenses and then wipe them off with cloth to clean the lenses and make them easier to see out of. An empty Chapstick tube can be cleaned out and used as a small diversion safe for a roll of bills. While you won’t be able to store lots of money, a few of these sticks can be placed in a bag or around the home to conceal cash and assure you have money on hand at all times. 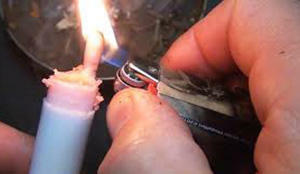 By using a cotton swab cut in half you can create a quick candle to help with starting fire or just lighting your way. Fluff the cotton at the end of your Q tip and dipping it in your Chapstick you can then turn it around and stick the other end into the Chapstick. Light the tip and you will have some flame and light. If you have a smaller flashlight you can use the cap of your Chapstick, over that flashlight, to create a makeshift lantern. This can be very effective if you require lowlight situations in a tent. By mixing a little Chapstick with some wood ash you can create a substance that can be applied under your eyes to prevent sun glare. You can also use this mix as camo to cover your entire face. If you keep a lot of leather gear, you can use Chapstick to coat that gear and protect it from wear. This can be anything from a leather sheath to a hat. If its leather, the Chapstick can protect it from the sun and weathering. 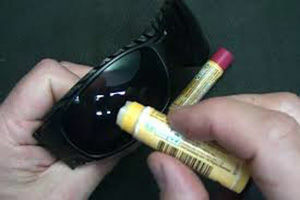 Since Chapstick repels water you can coat fishing line and even some light cotton or tinder to create a fishing float. You can use the tube of your Chapstick in tough times, as well. By cutting a tube in half you can create a simple finger splint for first aid. If you are trapping food, you are going to need some bait to entice an animal into that trap. Admittedly the more fruity and flavored the Chapstick the better. Those empty containers don’t need to be thrown away. Instead, you can fill them with dryer lint or other tinder and store these in your pack. There is only so much room in our bags and pouches. 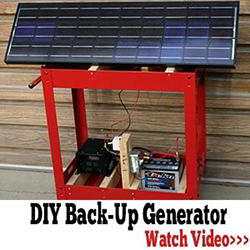 Therefore, you consistently hear calls to include multi-function tools and items in packs. There is nothing more space efficient or multi use as a tube of Chapstick. You can use what’s inside and even the container and lid! Because its so small you will also be able to store a few tubes and not even notice the difference in space or weight. Did I miss any uses? Let us know in the comments below about the types of survival uses that you have used Chapstick for in the past. A diversion safe is a great idea that I hadn’t thought of. One can also use the container for tooth picks. As a sidebar to this post, I use metal cigar tubes to store ammo. My Macanudo Portofino tubes hold 4 rounds of 45 long colts. I’m sure you meant “.45 Colt”….not “long colts”. No such thing as a “.45 long colt”. This is a common mistake many gun folks make. When challenged on this I always ask them to show me a loading manual and the recommended loading data for a “.45 Long Colt”. It’s a .45 Colt…..period. No charge for the tutoring and by the way…..this is my favorite cartridge. Take care. Ooops. Thanks Tex; in my neck of the woods “.45 LC” is what everybody calls them. Sometimes you just need a friend to straighten you out. Evidently you have not purchased any in the last ten years. A bit of insanity and dejavu hit me, then I realized I read this on Facebook a few days ago. Good to know I’m not 100% crazy just still only 75%. Hmmm. Society has fallen apart. Stores are empty. Food is hard to come by. WHERE IN THE WORLD AM I GOING TO GET CHAPSTICK!!!!? 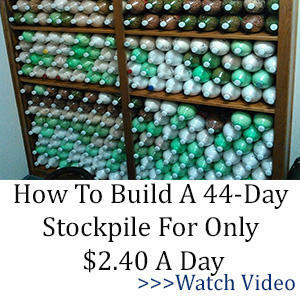 It should be part of the cache you bought beforehand for the SHTF situations. Duh….you stock up on it BEFORE hand. That’s what prepping is all about! My husband used it to fix my mother’s hood on her car. The repair man said she needed a new hood. Saved her a few hundred dollars. He also fixed many a drawer that wouldn’t slide. We always teased him that he could be their spokesperson. He used it from when it first came out until his death. First of all, you should already have it because you were prepared ahead of time. (This is a prpper post). 2nd, if you are not prepared and want to risk venturing into a store, this is an item most people won’t be going after or thinking about so chances are good there will still be some available. Grammy, Join those of us who not only have a brain but actually use it and add chapstick to your prepper supply list and quit whining like a 2 year old democrat running for president. I have another use for Chapstick! I’ve needed a way to help this from happening to me summer is coming soon. I’ll be giving this a try. Thank You. What a great article! I love your posts and articles. Never miss one that hits my inbox. I use little containers that have screw on lids, like for meds, and use them for cooking oil, shampoo, dish soap, matches (cut off) denatured alcohol, pizza peppers. #21: When your chapstick tube is empty, you can tie your fishing line around it and use it for a bobber. #5A: Sometime prior to the year 2000 I had read that the Marine Corps was experimenting with antiperspirant on the feet of hiking Marines. They found that using antiperspirant cut down significantly on blisters — didn’t eliminate them entirely, but the reduction in blisters was so significant that they were urging troops to use it. In 2001 I went on a 7 day hike around Mt. Fuji, Japan. I used antiperspirant in the morning and each time I changed my socks. While a significant number of other hikers had impressive blisters at some point on the hike, I remained blister free. I did have hot spots but they never developed into full-blown blisters. I am confident that without the antiperspirant I would have developed blisters to match those on other hikers. Deodorant does not work, it has to be antiperspirant. Brand doesn’t seem to matter. If you have room in your bug-out bag and you are planning on hoofing it, you might consider packing a stick of antiperspirant. 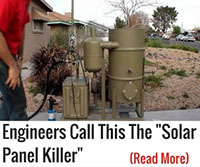 Survival websites borrow articles from each other. My article on bugging out by bicycle wound up on another website. 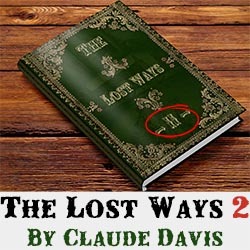 While copyright automatically accrues to the author without registering it under the revised copyright laws apparently survival websites don’t feel constrained to follow the law on plagiarism. I am not surprised that you read this somewhere else. If you go back through the archives you may find that it was posted at some prior time. 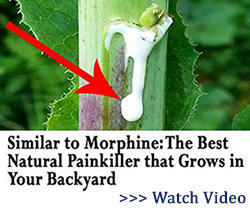 Nor should ANY “Help” site be concerned about Plagairsm. Shame on anyone who doesn’t want a good idea repeated. 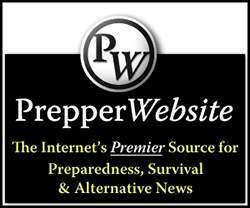 Hooray for articles on askaprepper! I have lived my long life outdoors and am never without Chapstick. Cheap, convenient (except it hardens up in cold weather), works better than anything else. Extra tip: I spend a lot of time in the desert and on beaches, Chapstick makes an SPF25 lip balm that I don’t leave home without, if you have ever blistered your lips in the sun you know what true misery is, Chapstick SPF25 prevents lip burn even in extreme conditions. Mike: To keep it from hardening in cold weather, carry it in your shirt breast pocket. Next to your body will keep it from hardening. Not quite as convenient as in your trouser’s pocket but can’t have everything. I like using chapstick on the cracks on my finger tips. Applied often, keeps them soft less severe. Interesting thought on plagiarism. Borrowing ideas is not plagiarism. Otherwise, there would be very few novels out there. You could have these same 20 items, but if the author wrote about each in his or her own words, it would not be plagiarism. It would be nice for the author to give credit to the original author to show this as a derivative article based on the original. Now if the author cut-n-pasted portions or all of the other article (without permission), it is plagiarism, and this shouldn’t be done. It’s lazy and wrong to steal. Thank you for the discourse on the U.S. copyright law. When you copy a a writing, song, painting, poem, a name, a slogan, use a copyrighted product name as a generic name . . . the list goes on. It doesn’t matter whether you get money for it or not. School districts have been sued and had to pay damages because some teacher who knew better copied something and distributed it to the classroom. The teacher may have paid for the copying out their own pocket and distributed it free. Doesn’t matter. Publisher sued. School district paid. 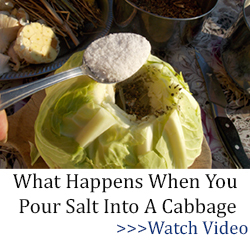 Happens more frequently than you would guess. As a printing company we had to be extremely careful about what customers brought to us for printing. Under the copyright law we could be held liable for damages for reproducing something someone brought to us. Of course, we could in turn sue the person who assured us the work was original and not copyrighted, but usually those people don’t have a pot to piss in to borrow a phrase from Ohio Preppier. Geez. Went from a ittle article on the many uses of chapstick to a major case for the Supreme Court to review. Lighten up Frances, there won’t be any court rulings after SHTF. No, but there certainly will be lawyer infested waters to navigate before that happens. It can also be used as cork grease on musical instruments. I am trying to think of a musical instrument that has cork on it that needs grease but am drawing a complete blank. Obviously my musical instrument knowledge is sadly lacking because probably everyone else on this list can name at least half a dozen such instruments. Clarinet, Sax, Oboe, Bassoon…to name a few. Saxophone and clarinet come immediately to mind. Anyone notice the date of this post? Not to be facetious, but how would chapstick do for hemorrhoid relief?